Opulence and art go hand in hand. At Dope Art, Fast Cars, we're combining the two in a way like never before. Join Members and their guests at the extravagant Intomoto showroom for a spectacle unlike any other. 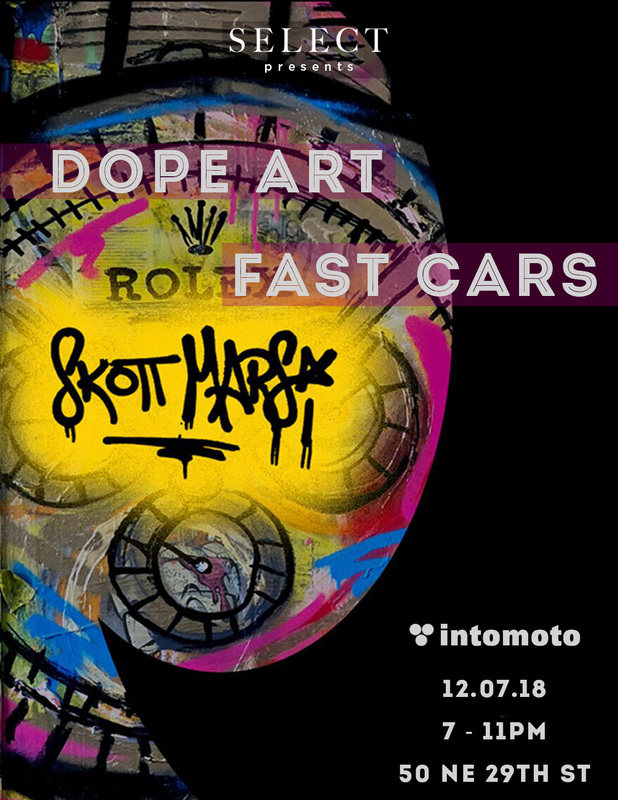 Famed street artist and muralist Skott Marsi will be on hand to perform a live painting on one of the luxury vehicles housed at Inomotos glamorous space. Enjoy the art of Mr. Marsi and the art that is involved in creating the masterpieces of Lamborghini, Rolls Royce and more. This event will be complimentary to Members and up to three guests. One hour complimentary open bar from 9-10pm, followed by cash bar. SELECT invites you to join us for the opening of a new exhibition: Beyond the Landscape. SELECT presents special, discount access to Whisky Live, New York's premium whisky exposition and tasting.